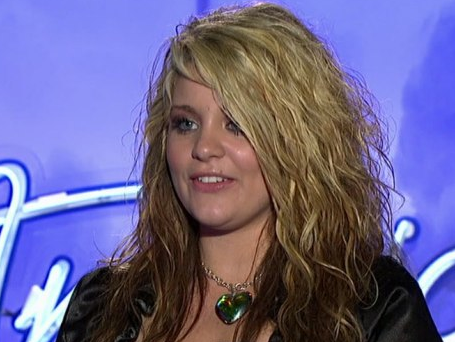 Lauren Alaina just won American Idol last night in Nashville. Okay. Not officially. But she blew us all away. The judges were shocked, I was moved to tears (so was J. Lo), it was amazing. First Lauren sang, Like We Never Loved At All. She of course got her golden ticket, then since she was the last audition of the day, she introduced her family to the judges and ended up singing I Don’t Wanna Miss A Thing WITH Steven Tyler. Did I mention she’s only 15? Lauren Alaina will most definitely be in the Top 10 and if I had money on it, I’d say she’s going to win American Idol 10.